Are you bored of the same old Valentines Day routines? 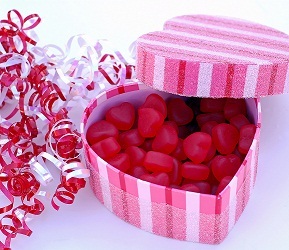 Do something special this year with these sweet and simple Valentines Day ideas. Forget the stress of finding a sitter, making a reservation and running out the door to spend the evening in a crowded restaurant. Instead, opt for a romantic dinner at home. Many restaurants offer gourmet take out meals so nobody has to worry about cooking and cleaning, both serious mood killers. Make the night special by decorating the dining room like an Italian bistro, or having a relaxing picnic on the living room rug. This romantic and stress free evening will give new couples time to get to know each other better, and longer lasting couples time to rekindle and reconnect. For the adventurous types, why not go and see a professional burlesque show? These risque and artful shows will definitely get you and your date in the mood. Just make sure it’s something you know you’ll both enjoy. Does every Valentines Day turn into a disaster? This year try a stress free night at home. So many couples worry about what to do on this special day that they lose sight of the point, a celebration of the person you love. If it’s been ages since the two of you sat down and spent quality time together, then skip the big act and just hang out at home. This Valentines Day step out of the boring routine and do something fun.